‘The Nuck Stops Here’ is a Vancouver Canucks news, opinion and analysis column that runs every Monday throughout the regular season. The Canucks have announced the signing of forward Griffen Molino. He was signed to a two-year entry-level contract after playing for the Western Michigan University Broncos of the NCAA. Molino, 23, scored 15 goals and 33 points this season after scoring 11 and 25 in 36 games in his debut season. He helped lead the Broncos to the East Regional Semifinals this season. 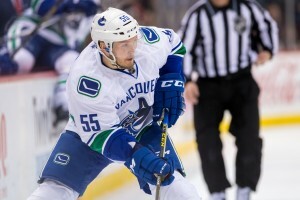 Since signing, he has appeared in two games as a Canuck. 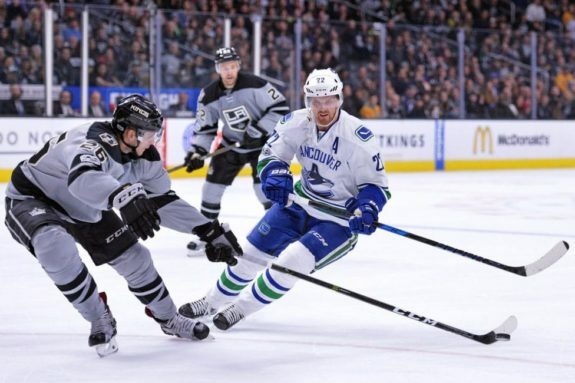 NHL commissioner Gary Bettman announced that the Canucks and the Los Angeles Kings will play two preseason games in Beijing this coming September. The games will be played Sept. 21 and 23 at Mercedes-Benz Arena and Huaxi LIVE Wukesong’s Sports Centre respectively. Titled the ‘China Games’, the games come as an agreement between the NHL and the NHL Players’ Association. more details will be released moving forward. The Canucks have seen a plethora of injuries of late, which has resulted in players stepping outside of their comfort zones. Prime among them is defenseman Alex Biega. Biega, 28, has been forced to play as a member of Vancouver’s fourth line. While always a steady presence on the blue line, he has taken his game to a new level as a forward. Over his past eight games, playing a combination of forward and defense, Biega has managed a whopping 30 hits, an average of 3.75 per game. Despite producing virtually nothing offensively, he does have seven shots in his last four games. Biega has proven to be the spark plug the team needed in its bottom six and is even opening people up to the idea of him serving as a forward long-term. No matter what position he ends up playing, Biega’s tremendous work ethic is finally resulting in some recognition, and he may just be playing himself into a fourth-line role going forward. The trade deadline represented a turning point for the Canucks organization. 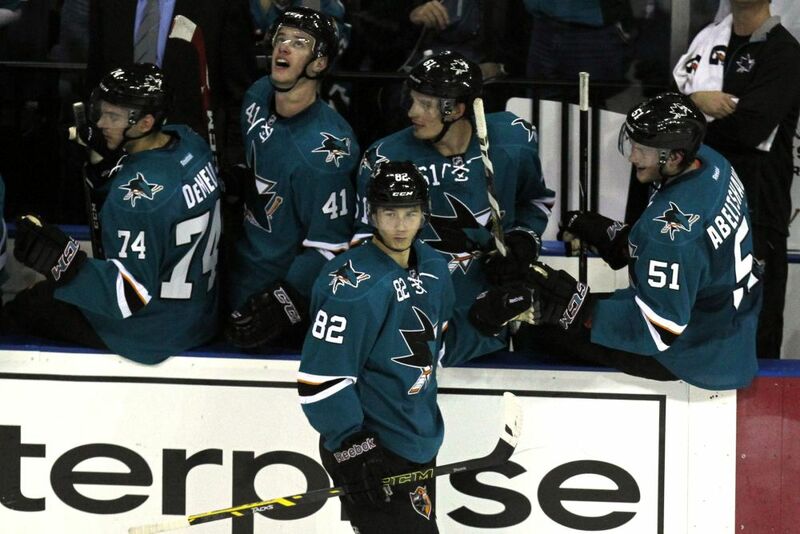 When Jannik Hansen and Alex Burrows were traded to San Jose and Ottawa respectively, it signaled the official start of the rebuild. Nikolay Goldobin, the forward prospect acquired for Hansen, has made fans excited, representing flash and skill in an organization that lacks both of those things. However, Goldobin hasn’t been able to produce much since joining the Canucks, putting up just one goal in eight games (coming in his debut). While some of that can be attributed to playing just 10:17 a game, often with Brandon Sutter, it’s concerning that he hasn’t been able to show more than he has. It could be easily argued that he should be afforded more opportunity, but Goldobin simply hasn’t impressed in what he’s had. Some have begun to argue that the 21-year-old would benefit from time in the AHL next season, and it may not be a bad idea. The Utica Comets (Vancouver’s AHL affiliate) lack high-end talen and would benefit from someone of Goldobin’s caliber. Whatever the case may be moving forward, Goldobin needs to be doing more to stand out from the pack on a roster ripe with competition. Fun links about the Vancouver Canucks from all around the internet. When @troystecher arrived at practice Saturday, he had been moved to forward. With the Sedins.